Consider the following: Every standard hinged door within your home can take up to fifteen square feet of space to allow it to swing open and closed. That’s 150 square feet in a home with ten doors! Most bedrooms have at least one closet door and another for the room. Not to mention that every bathroom in the home has its own door. Then there are storage closets, pantries, and the laundry room. 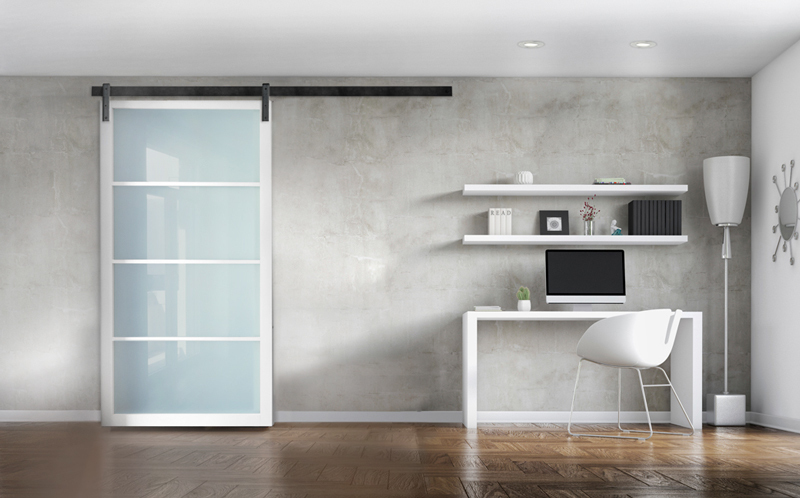 Rather than let all that space go to waste, one of the current trends in home décor is replacing traditional swing-type doors with sliding doors hardware and flat track rail systems. The main benefit, of course, is converting the door into a sliding door to regain all of that lost space! For a rustic look, shop around for old doors. Scour your local paper and Craigslist for renovation and rehab projects of older homes and buildings in your area. Most contractors and owners might even give you the doors for free! You can also check out yard sales, salvage yards, and other places, too. Convert kids’ closet doors into chalkboards or whiteboards on a sliding track system. Give your kids someplace where they can tap into their artistic side, by attaching chalkboard or whiteboard over an existing door before mounting it to the track rail system. Brighten up dark rooms that previously had solid doors by adding sliding doors with glass inserts. If you have certain rooms that never get direct sunlight, you can brighten them up during the day by cutting out the interior section of a door and installing clear glass or colored glass inserts, or using a wood-framed glass door, if you want to avoid working with glass. Sliding glass doors are also great for parents who want some privacy, but who also need to keep an eye on their children. Use old barn doors in basements to create moveable walls and to hide seasonal storage items from view. 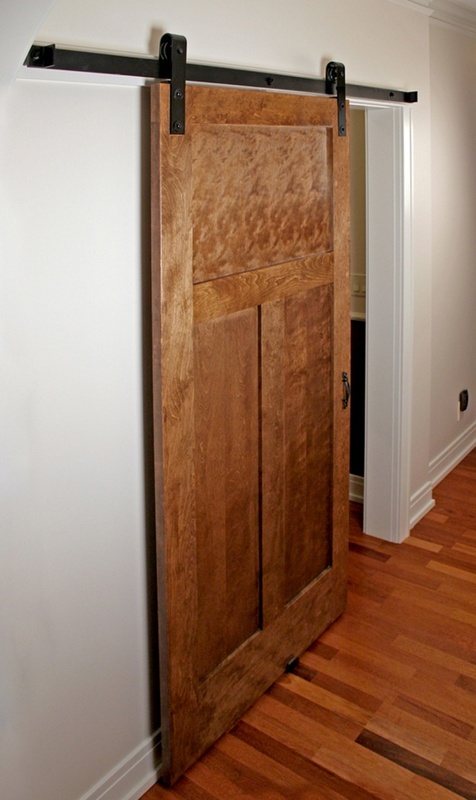 Barn doors are much wider than traditional doors, and excess height is easy to remove with a saw. Plus, you no longer have to worry about the stacks of storage totes and open shelving being in view all of the time. Use sliding door systems in place of curtains and window blinds. Sliding doors are easier to open and close than curtain and blinds, when you want to let sunlight in or have some privacy during the nighttime hours. We hope these ideas will help inspire your creativity so you come up with innovative uses for sliding doors within your home. You can obtain all the hardware you need to convert existing doors into sliding doors here at RW Hardware. Call us at 800-253-5668, extension 4678 for further assistance.